Teachers' Expectations Can Influence How Students Perform : Shots - Health News Teachers' expectations about their students' abilities affect classroom interactions in myriad ways that can impact student performance. Students expected to succeed, for example, get more time to answer questions and more specific feedback. But training aimed at changing teaching behavior can also help change expectations. Teachers interact differently with students expected to succeed. But they can be trained to change those classroom behaviors. In my Morning Edition story today, I look at expectations — specifically, how teacher expectations can affect the performance of the children they teach. The first psychologist to systematically study this was a Harvard professor named Robert Rosenthal, who in 1964 did a wonderful experiment at an elementary school south of San Francisco. The idea was to figure out what would happen if teachers were told that certain kids in their class were destined to succeed, so Rosenthal took a normal IQ test and dressed it up as a different test. "It was a standardized IQ test, Flanagan's Test of General Ability," he says. "But the cover we put on it, we had printed on every test booklet, said 'Harvard Test of Inflected Acquisition.' "
Rosenthal told the teachers that this very special test from Harvard had the very special ability to predict which kids were about to be very special — that is, which kids were about to experience a dramatic growth in their IQ. After the kids took the test, he then chose from every class several children totally at random. There was nothing at all to distinguish these kids from the other kids, but he told their teachers that the test predicted the kids were on the verge of an intense intellectual bloom. As he followed the children over the next two years, Rosenthal discovered that the teachers' expectations of these kids really did affect the students. "If teachers had been led to expect greater gains in IQ, then increasingly, those kids gained more IQ," he says. But just how do expectations influence IQ? As Rosenthal did more research, he found that expectations affect teachers' moment-to-moment interactions with the children they teach in a thousand almost invisible ways. 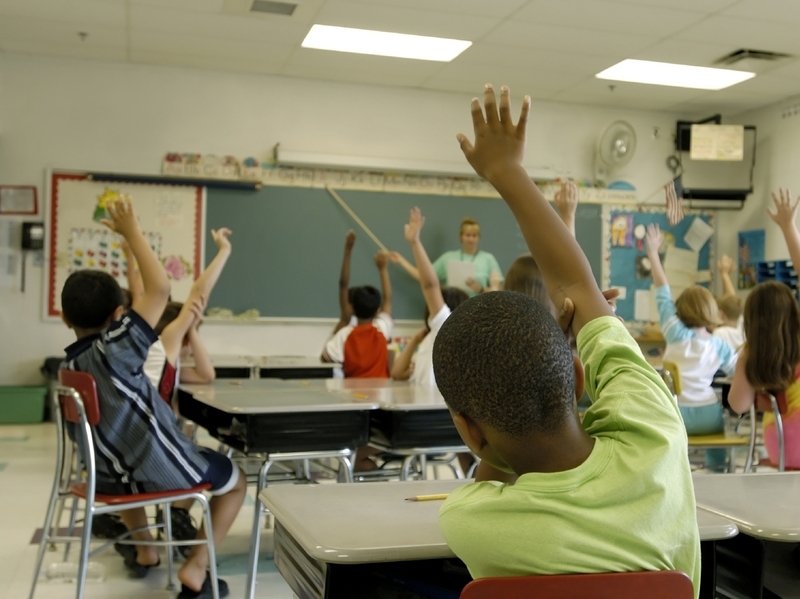 Teachers give the students that they expect to succeed more time to answer questions, more specific feedback, and more approval: They consistently touch, nod and smile at those kids more. Watch how each student interacts. How do they prefer to engage? What do they seem to like to do? Observe so you can understand all they are capable of. Listen. Try to understand what motivates them, what their goals are and how they view you, their classmates and the activities you assign them. Engage. Talk with students about their individual interests. Don't offer advice or opinions – just listen. Experiment: Change how you react to challenging behaviors. Rather than responding quickly in the moment, take a breath. Realize that their behavior might just be a way of reaching out to you. Meet: Each week, spend time with students outside of your role as "teacher." Let the students choose a game or other nonacademic activity they'd like to do with you. Your job is to NOT teach but watch, listen and narrate what you see, focusing on students' interests and what they do well. This type of activity is really important for students with whom you often feel in conflict or who you avoid. Reach out: Know what your students like to do outside of school. Make it a project for them to tell you about it using some medium in which they feel comfortable: music, video, writing, etc. Find both individual and group time for them to share this with you. Watch and listen to how skilled, motivated and interested they can be. Now think about school through their eyes. Reflect: Think back on your own best and worst teachers, bosses or supervisors. List five words for each that describe how you felt in your interactions with them. How did the best and the worst make you feel? What specifically did they do or say that made you feel that way? Now think about how your students would describe you. Jot down how they might describe you and why. How do your expectations or beliefs shape how they look at you? Are there parallels in your beliefs and their responses to you? "It's not magic, it's not mental telepathy," Rosenthal says. "It's very likely these thousands of different ways of treating people in small ways every day." So since expectations can change the performance of kids, how do we get teachers to have the right expectations? Is it possible to change bad expectations? That was the question that brought me to the Curry School of Education at the University of Virginia, where I met Robert Pianta. Pianta, dean of the Curry School, has studied teachers for years, and one of the first things he told me when we sat down together was that it is truly hard for teachers to control their expectations. "It's really tough for anybody to police their own beliefs," he said. "But think about being in a classroom with 25 kids. The demands on their thinking are so great." Still, people have tried. The traditional way, Pianta says, has been to sit teachers down and try to change their expectations through talking to them. "For the most part, we've tried to convince them that the beliefs they have are wrong," he says. "And we've done most of that convincing using information." But Pianta has a different idea of how to go about changing teachers' expectations. He says it's not effective to try to change their thoughts; the key is to train teachers in an entirely new set of behaviors. For years, Pianta and his colleagues at the Curry School have been collecting videotapes of teachers teaching. By analyzing these videos in minute ways, they've developed a good idea of which teaching behaviors are most effective. They can also see, Pianta tells me, how teacher expectations affect both their behaviors and classroom dynamics. Pianta gives one very specific example: the belief that boys are disruptive and need to be managed. "Say I'm a teacher and I ask a question in class, and a boy jumps up, sort of vociferously ... 'I know the answer! I know the answer! I know the answer!' " Pianta says. "If I believe boys are disruptive and my job is control the classroom, then I'm going to respond with, 'Johnny! You're out of line here! We need you to sit down right now.' "
This, Pianta says, will likely make the boy frustrated and emotionally disengaged. He will then be likely to escalate his behavior, which will simply confirm the teacher's beliefs about him, and the teacher and kid are stuck in an unproductive loop. But if the teacher doesn't carry those beliefs into the classroom, then the teacher is unlikely to see that behavior as threatening. Instead it's: " 'Johnny, tell me more about what you think is going on ... But also, I want you to sit down quietly now as you tell that to me,' " Pianta says. "Those two responses," he says, "are dictated almost entirely by two different interpretations of the same behavior that are driven by two different sets of beliefs." To see if teachers' beliefs would be changed by giving them a new set of teaching behaviors, Pianta and his colleagues recently did a study. They took a group of teachers, assessed their beliefs about children, then gave a portion of them a standard pedagogy course, which included information about appropriate beliefs and expectations. Another portion got intense behavioral training, which taught them a whole new set of skills based on those appropriate beliefs and expectations. For this training, the teachers videotaped their classes over a period of months and worked with personal coaches who watched those videos, then gave them recommendations about different behaviors to try. After that intensive training, Pianta and his colleagues analyzed the beliefs of the teachers again. What he found was that the beliefs of the trained teachers had shifted way more than the beliefs of teachers given a standard informational course. This is why Pianta thinks that to change beliefs, the best thing to do is change behaviors. "It's far more powerful to work from the outside in than the inside out if you want to change expectations," he says. In other words, if you want to change a mind, simply talking to it might not be enough.